This thing creates and leaves a "Tracing" folder in the user directory, very stealth.. I am also interested in what the SkypeBrowserHost.exe.8BC8B74C_C7CF_4DDC_9B88_774D97DA1209 file found in the Phone folder might be? Could this be a case where just repackaging using the old launcher didn't really cut it this time around? "The downloaded copy of Skype is not valid and can not be installed. Please try installing again." If not, are there any similar valid instructions? I don't think Skype servers will permit older versions to log in anymore. Older versions have known security issues that are being actively exploited, so it does make sense. spicydog: I think that would be a neat trick. My understanding is that there was a VoIP codec change so it's unlikely old versions will work with other users. Still, it's possible they included some backwards-compatibility tools for older devices. Can anyone please suggest a trick/workaround that would permit me to use one of the old versions of Skype (such as 3.8x) that are much better than the recent versions? As of late, older versions of Skype prevent the users from logging in and frankly I do not like to be forced to use a newer version. It's annoying to have to close a window busily proposing to upgrade Skype every time you turn Skype on. Can anyone else confirm that Skype 5 is not portable? Does anyone know if the latest skype v4.2.0.187 is still portable or not? The main program Skype.exe is about half the size now compared to all previous versions before it. @freewarelover : is it possible to use plugins with your build hosted on rapidshare? The file is 100% clean. If you don't trust me, check with virus scanner before you unpack. Then rename "skype-start.bat" and put it in the Skype Portable folder. Double-click skype-start.bat to start Skype in real portable mode. If you don't want bat-file, you can convert bat-file to exe-file with icon, so you have a nice launcher then. The file is 100% clean. Scan with virustotal.com if you don't trust me. best alternative for instaling portable skype!!!! 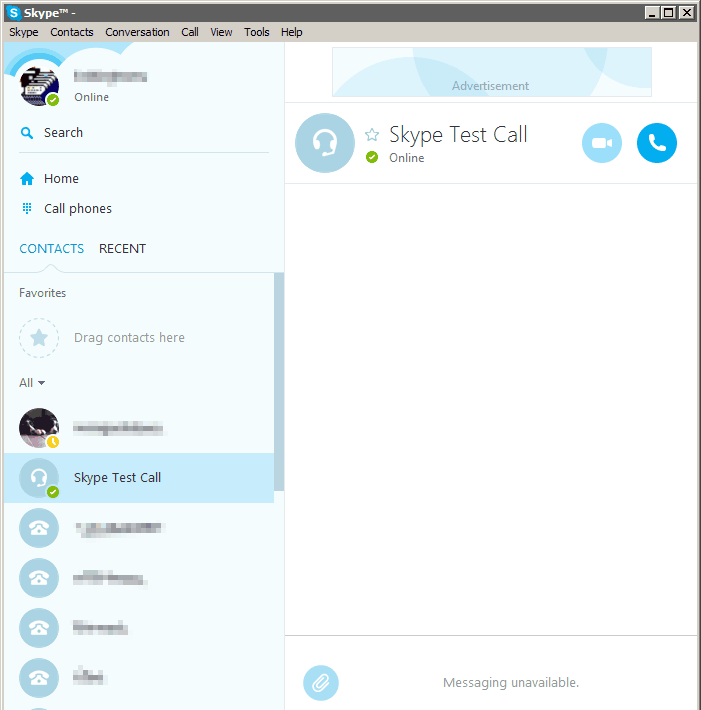 Does skype V4 have the skype me option, as I cant find it. Kermode: I used the same method. Just dropped all except Phone in Data folder, placed Skype.exe near and created .bat file with string. It seems working fine. Just follow the instructions provided and it will solve all your problems. does PortableSkype leave trace on machine after used? After doing the copye and the Data subfolder. Right-click on skype.exe, then "Create Shortcut"
For me that was not working well without the " " around data. Does anyone know if the Skype 4.x beta series be made portable the same way as the Skype 3.8 versions? Damien's instructions were super easy and worked great. Thanks! Anyone know how to take care of those pesky reg entries? Sorry, misprint. I meant, in my case there ain't any subfolders in (my Skype installation folder)\Phone. So I didn't bother about them. There ain't ANY folders in \Phone. So I just created Data folder on USB drive. That was enough. Europe or not ... I am in sweden . Heisenberg maybe Germanytalks and Andrew not in Europe ... something like that. @Heisenberg: I just downloaded the latest version 3.5. I still see the "Pictures" and "Wallpapers" subfolders, but don't see the "Plugin managers" and "Toolbars" subfolders. Am I missing something here? since Version 3.5 the "USB-installation" slightly changed. there are no "pictures" and "wallpapers" anymore. just copy the skype.exe in a dir of your choice. copy "Plugin managers" and "toolbars" in the same directory. create a batch with "skype.exe /removeable" and thats it. can anybody help me how to make a portable pamela for portable skype ? I'm a french teacher in China and I use skype from a usb key to help my students all around China. But sometimes I need to record the audio/video conversation so i can replay them. did not understand datapath story. Skype-to-Skype has always been free, but SkypeOut, SkypeIn etc. are not. That is incorrect. Voicestick's unlimited US and Canada plan is 20.00 a month. Skypes unlimited incoming and outgoing works out to 5.66 a month. Now i'm not sure about calling other countries but let's face it the unlimited US and canada plan covers almost all the calling done by people from these 2 countries and for an additional 38.00 per year each you can get up to 9 phone numbers in other countries which makes calling those countries from another country the same as calling from within that country. Here's a simple step by step instructions on how to do it. You can try using a program launcher that supports relative paths, such as PStart (http://www.portablefreeware.com/?id=374. Another possibility is to look at Portable Skype (http://portableapps.com/node/246. Correction: I meant to say "...right-clicking skype.exe"
...without having to type that everytime? How do you make a shortcut or batch file? The USB drive letter changes from PC to PC so it isn't as simple as right-clicking skype.com and selecting "Create shortcut". Thanks!